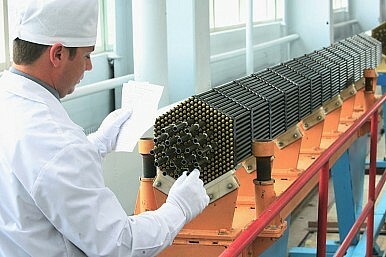 The dismantling of the B-53 was hailed by the U.S. as a big step forward on nuclear disarmament. It wasn’t. However, even before any celebrations could get under way, a troubling report was released at the weekend by the national security think tank the British American Security Information Council. The report highlights how multiple states with nuclear weapons are planning to spend billions of dollars on modernizing their strategic arsenals over the coming years. What does all this mean? It’s obviously an indicator of the fact that nuclear holdings worldwide are being rationalized to meet perceived new security threats. But it's also clear that nuclear weapons are unlikely to go anywhere soon. It also vindicates the cynicism expressed by many that universal nuclear disarmament is an idea that comes into fashion every few years before the quinquennial NPT Review Conference. Once the conference is over, the dust quickly settles and, for nuclear weapons establishments, it’s business as usual. The current situation, therefore, isn’t any different from the usual trend. This is particularly disheartening considering the build up to the last RevCon had seen a number of government and non-governmental initiatives towards disarmament. In fact, Obama’s personal desire for a nuclear weapons free world, and his hosting of the Nuclear Security Summit in March 2010 to highlight the dangers from existing and spreading nuclear capabilities, were seen as indicators of changes in the U.S. approach to nuclear weapons. But as he nears the end of his first term, it appears unlikely that his administration will leave a lasting impact on nuclear thinking and strategy. Some take solace in the fact that even if matters related to nuclear weapons haven’t improved this year, they also haven’t significantly deteriorated either. After all, no new state has acquired nuclear weapons, nor has an existing one conducted any more nuclear tests. However, the sad reality is that the current focus on enhancement of strategic capabilities in many states with nuclear weapons casts a cloud over the credibility of future initiatives towards a nuclear weapons free world. The nuclear strategies of countries are tied to one another in a relationship of response and counter-response. Current trends appear to be propelling the chain of responses toward greater, not less, reliance on nuclear weapons. This is ominous for nuclear non-proliferation. As threat perceptions grow and the international security environment becomes more and more vitiated, the prospects of nuclear disarmament fade. Rather, countries with small nuclear arsenals see a great asymmetric advantage in this weapon, and so future attempts at nuclear disarmament will be complicated by their intransigence. For the moment, there appears to be a complete absence of critical political will among major nuclear powers to bring about a nuclear weapons free world. Neither is there any public pressure from below to demand the abandonment of nuclear weapons. Under these circumstances, the only possibility of any change in the situation may come from a nuclear catastrophe – a deliberate planned nuclear attack by a state or non-state actor, or a nuclear launch as a result of an accident or miscalculation. Will the world have to relive the horrors of Hiroshima and Nagasaki before sense prevails? Time to Cut Tactical Nukes? Barack Obama may hope for deeper nuclear arms cuts. But with an eye on China, Russia is unlikely to oblige.